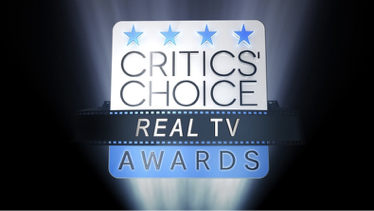 (Los Angeles, CA – January 9, 2019) – The Broadcast Film Critics Association (BFCA) and the Broadcast Television Journalists Association (BTJA) announced today the star-studded line up of presenters who will take the stage during the 24th Annual Critics’ Choice Awards. Previous #SeeHer Award recipient Viola Davis will present this year’s honoree, Claire Foy, with her #SeeHer Award. The cast of “The Big Bang Theory,” including Mayim Bialik, Kaley Cuoco, Johnny Galecki, Simon Helberg, Kunal Nayyar, Jim Parsons, and Melissa Rauch will be on hand to recognize show creator Chuck Lorre with the Critics’ Choice Creative Achievement Award, just in time to celebrate the show’s final season. Additional stars from some of this year’s favorite films and television shows who will present throughout the evening include Awkwafina, Angela Bassett, Kristen Bell, Ted Danson, Nina Dobrev, Winston Duke, America Ferrera, Sara Gilbert, Josh Hutcherson, Stephan James, Jameela Jamil, Nicole Kidman, Joel Kinnaman, KiKi Layne, Eugene Levy, Justina Machado, Ricky Martin, Jeanine Mason, Chrissy Metz, Mandy Moore, Olivia Munn, Catherine O’Hara, Edgar Ramirez, Haley Lu Richardson, Sarah Silverman, Cole Sprouse, Ben Stiller, and Bradley Whitford. They all join previously announced host Taye Diggs.